The Pro Football Hall of Fame contains many Green Bay Packers. All-pro Jerry Kramer is not one of them. Six-time AP All-Pro, three Pro-Bowls, the only player on the NFL 50th Anniversary Team NOT in the HoF, a member of five NFL Championship teams in seven years…is not in the Hall of Fame. Mr. Kramer’s stats on Pro Football Focus are here for those who would like to see them. The Hall of Fame Seniors Committee is meeting in a few weeks to nominate next years senior members. Below is a note I’ve written to one of those members, John McClain of the local Houston Chronicle. I will send addition notes to Seniors Committee members whose addresses I can find. The addresses I’ve found I will post below. I hope you are well. I’ve enjoyed reading you through the years, especially during the Luv Ya Blue days. My mom still has her Luv Ya Blue wardrobe. She never got into the Texans. I never did either…mainly because I’ve been a Packers fan for about 45 years, and was so when our family moved to Houston back in the late 1960s. I was in elementary school. When we lived in Florida, I bought the Bart Starr biography through the scholastic book club in elementary school. My Dad saw me reading it, and found a copy of Instant Replay, Jerry Kramer’s Packer Diary. Though it was a bit of a tougher book for me to read, I ate it up. It was a great gift…especially since my Dad was a Cowboys fan. I was barely old enough to understand football when the Pack was winning their NFL Championships and the first two Super Bowls. And then the hard years of being a Packers fan ensued. Kramer’s book, and watching those old games, got me through the tough Packer decades of the 70s and 80s. I know that I do not have to recite Mr. Kramer’s resume (six-time AP All-Pro, three Pro-Bowls, the only player on the NFL 50th Anniversary Team NOT in the HoF, a member of five NFL Championship teams in seven years) to you, as I’m sure the Senior Committee has run through that. And I understand the objections of having too many players from the same team in the Hall. And, I will admit, I cannot be objective about it. Mr. Kramer’s book, and Mr. Kramer’s team, led me to a life long love of the Packers. 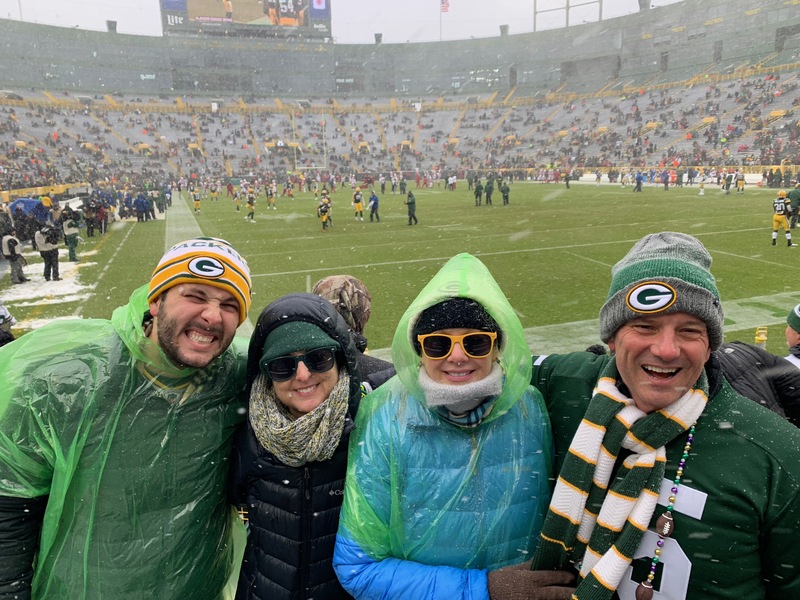 When I moved to Texas, at the time I was told I was the youngest person receiving the Packer Backer newsletter (you’ll remember, we had no Internet back in the day). Granted, there was little good news (other than the occasional John Brockington 1,000+ yard season). Thanks to my wife, I’ve been to Lambeau a few times (the first was a birthday present), and through the Packer Hall of Fame. Kramer is there, of course. I hope he is one of the two nominations this year. I do not know all of the eligible players stats and records. But Mr. Kramer has certainly been passed over for too long. This site has a current list of members of the Seniors Committee and how you can contact them. I encourage you all, Packer fan or not, to send them a note of “encouragement.” Please be polite and respectful as you contact them.